A playful take on a favorite tequila cocktail, the whipped sunset serves it up martini style and features whipped cream vodka with pineapple. It's truly delicious and a very beautiful cocktail! This recipe is a perfect vehicle for a dessert-flavored vodka and it was created to feature Smirnoff Whipped Cream (the brand now calls this recipe a "creamy sunset"). Similar in fashion to the tequila sunrise, the drink uses grenadine to create a layered effect that is as stunning for the eyes as the drink itself is to the taste buds. What is most interesting about the whipped sunset is how the whipped cream and pineapple flavors complement each other. They're bound in a sweet and sour way with the similarly contrasting sour mix and grenadine, creating a drink that is simultaneously familiar and unique. In a cocktail shaker filled with ice cubes, combine the vodka, sour mix, and pineapple juice. Top with grenadine (it will sink) and garnish with whipped cream. Apparently, this recipe was designed to create a single cocktail, but it mixes up to be about 7 1/2 ounces. That's double the size of the average martini! If you don't have a glass that size, either divide the drink into two glasses and share or cut all of the ingredients in half to make one drink. A heaping garnish of whipped cream may be a little much for some, so if you prefer, begin with a small dollop or forgo it altogether. A homemade sour mix will create a better tasting drink and it's very easy to whip up. Essentially, you'll simply add equal parts lemon and lime juice (or either citrus) to simple syrup. 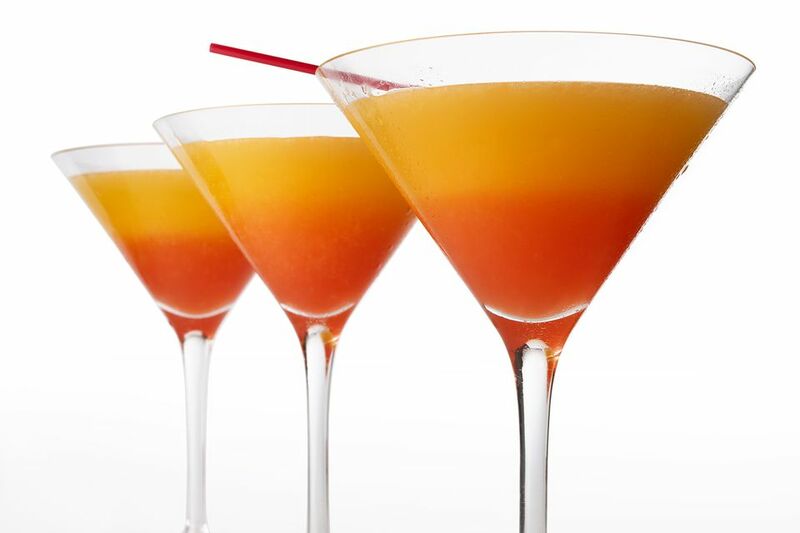 Serve this cocktail over ice in a collins or highball glass, just like the tequila sunrise. The recipe's volume is perfect for a single tall glass. Skip the sweet vodka and pour tequila instead. You can keep the whipped cream garnish and still get a sweeter martini-style drink. For a similar drink that reverts to the sunrise's original orange juice, try whipped cream vodka in the sour sunrise recipe, using it as a substitute for the bourbon. How Strong Is a Whipped Sunrise? Smirnoff Whipped Cream is a low-proof vodka that's bottled at 60 proof. Since a single shot of that is the only liquor in the drink, it's extremely light and will shake up to just 6 percent ABV (12 proof). It's like drinking a strong beer, only far more delicious!